Wondering what to make with all the pumpkins in the supermarkets at the moment? 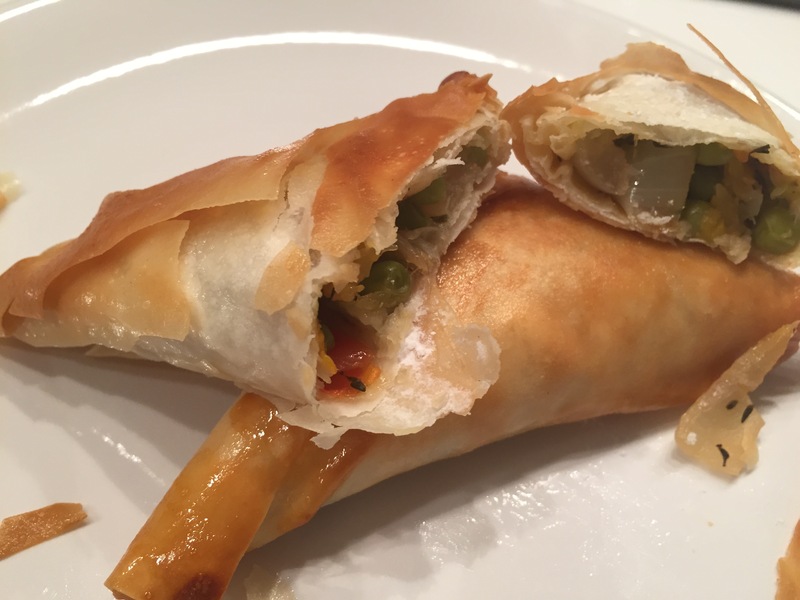 Try my Pumpkin & Pea samosa recipe. Although I’ve used more woody herbs in this version, you could spice them up a bit and alternatively use some chilli flakes & cumin. – Pre-heat oven to 220 oC before prepping as above and remove the filo from the freezer. Keep the filo pastry in the box to avoid it drying out. 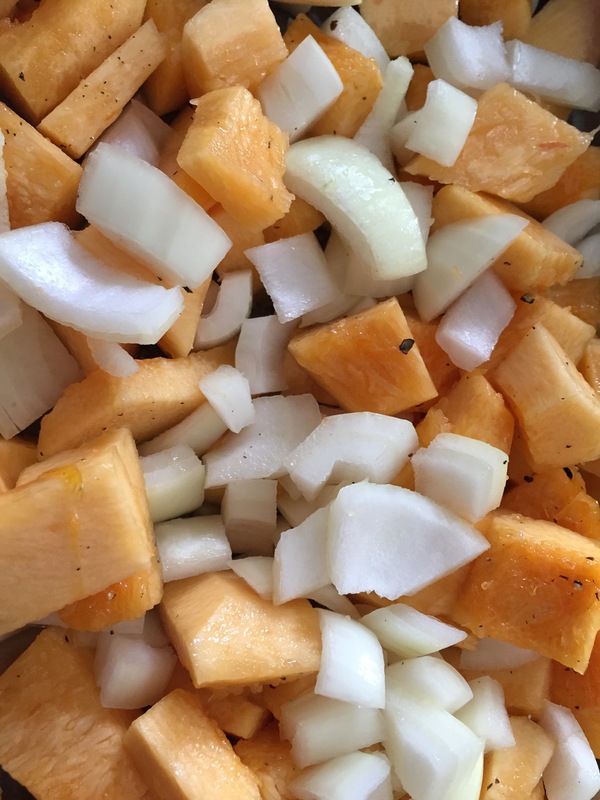 – Put the pumpkin & onions into a roasting tin with 2 tbsp olive oil and salt & pepper. Mix well and put in the oven for 30 minutes. – Once the pumpkin & onion have cooked, take out of the oven but leave the oven on at 220 oC. – Roughly cut up the pumpkin into much smaller squares, around 1/2 cm. I used sisscors for this. 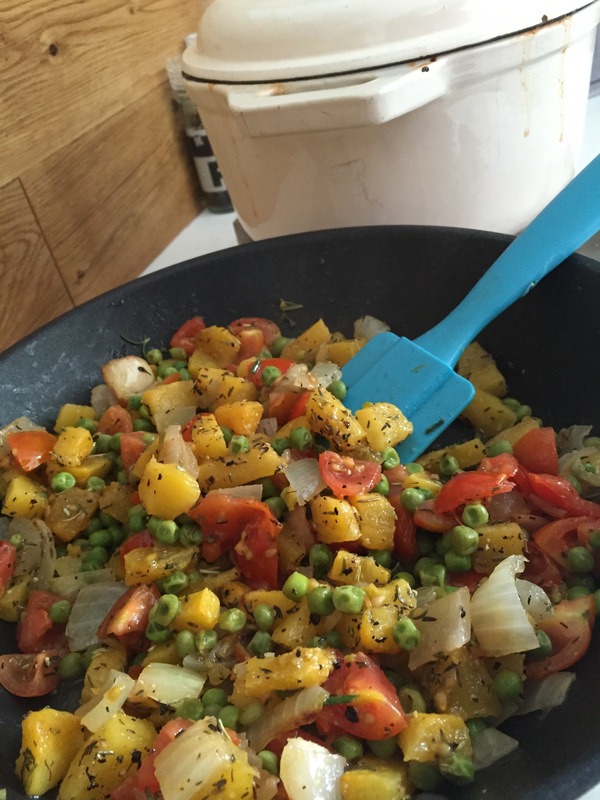 – Mix the pumpkin & onions into the frying pan with the peas & onions. Add the heat back on low and add the Rosemary, thyme, lemon juice and salt & pepper. Turn the heat off after around 5 minutes. – The mix can keep in the fridge for up to 2 days to use when you’re ready. – Unravel the filo pastry. Sprinkle a little plain flour on the cooking surface to prevent the pastry from sticking. – Take a sheet at a time and cut length ways, as seen below, to make 2 rectangular strips. – Spoon out approximately 2 tbsp of the mixture into a triangle shape in the top left side of the rectangle. Leave a cm edge at the top and left side. See photo above. – Fold up the pastry at the bottom over the mixture to form a triangle shape. Press down the pastry gently around the edges. – Turn the triangle over again to the right keeping the triangle shape. 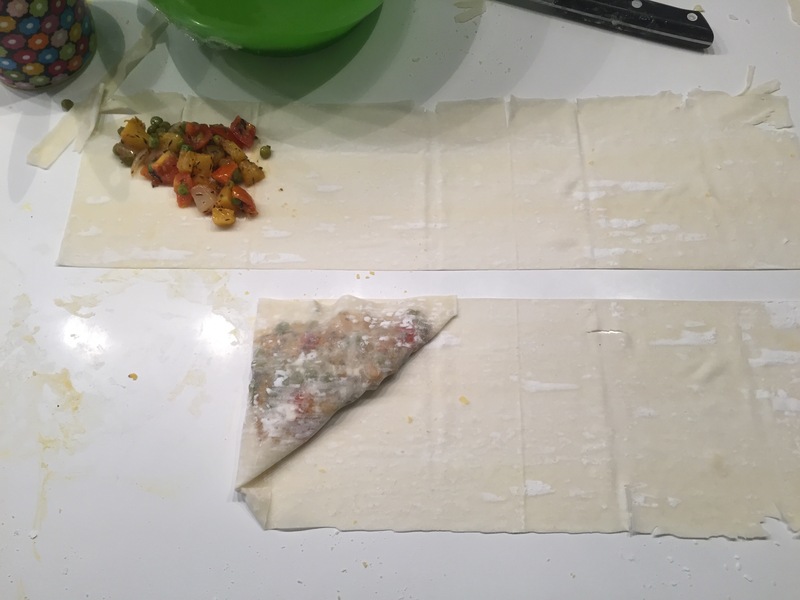 Continue this process until all of the pastry strip has been use, and you have a triangle shaped samosa. Trim any excess of as your folding with a sharpe knife. Brush a little egg onto the final fold to help it stick together. – Continue the above process until all the mixture and pastry has been used. 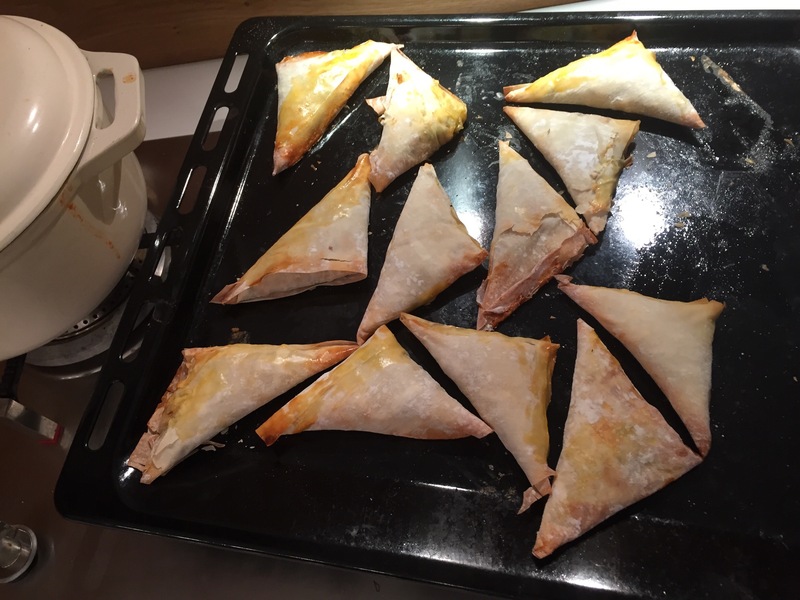 – Add the samosas onto a large baking tray and place in the oven for 15 minutes. – Heat up a large frying pan with 200ml olive oil. Place the Samosas into the pan a batch at a time depending on how big the plan is. Cook for approx 30 seconds each side u till golden brown. Turn them over and repeat on the other side. Carefully remove from the pan and place on kitchen roll to absorb some of the oil. – Plate up and serve immediately with tomato chutney, Brandston pickle or even some HP sauce!